Rod Taylor has been riding for 36 years, in that time owning over 50 motorcycles. Restoring vintage motorcycles can be both rewarding and very frustrating. I am a motorcycle nut and have been riding for 36 years, in that time owning over 50 motorcycles. Many of my 'vintage' motorcycles were brand new when I first owned them. Not all vintage Japanese bikes are worth the trouble. Many early Japanese bikes were absolute 'classics' when they were released, and an equal number were absolute dogs, or even worse, death traps. 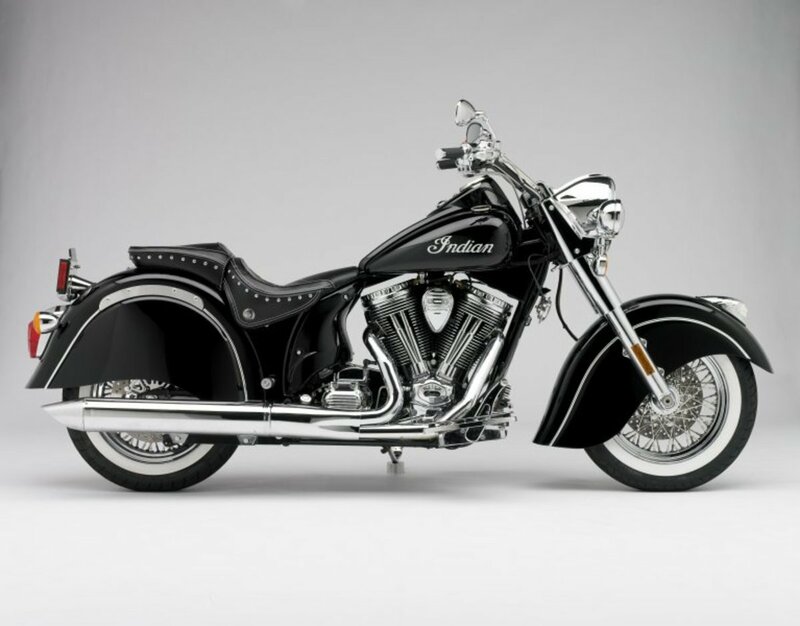 Some bikes had almost 'bulletproof' reliability, and some had inherent mechanical faults. 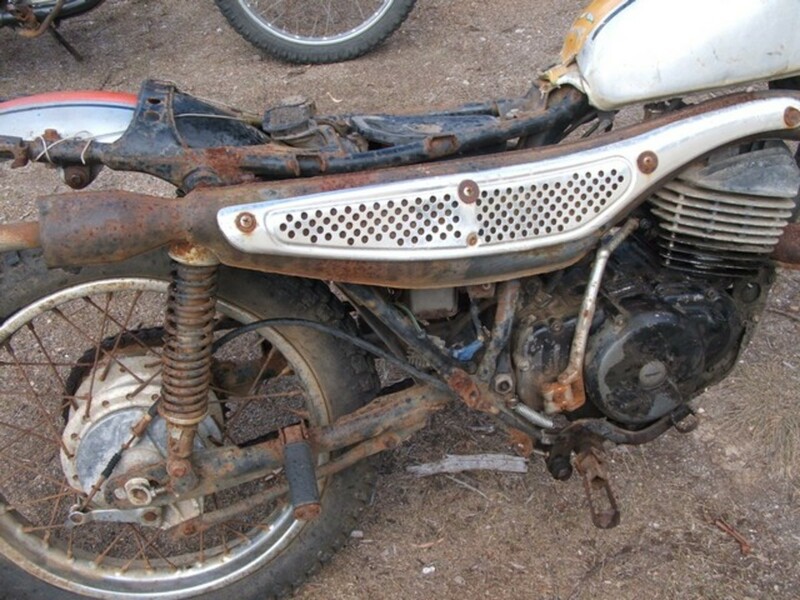 Some bikes seem to stand up to the ravages of time, and some definitely do not. Some bikes are relatively easy to get parts for, and others are downright impossible. 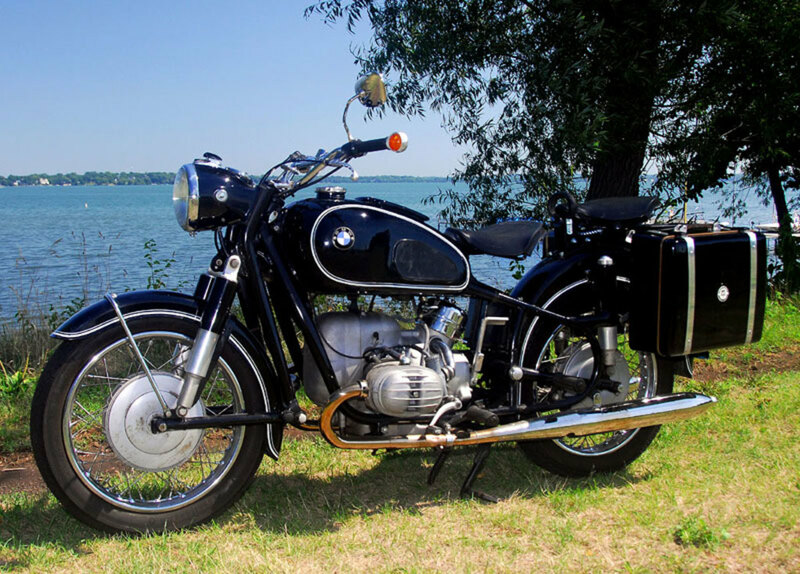 An excellent starting point when considering buying an old bike is to go online and read up about the model and year of the bike. Se if you can find old motorcycle magazine reviews from the days when the bike was released. Look up forums and bike clubs online and post a few questions about the bike you are looking for. Google the bike and see if you can still purchase any parts for that model bike. 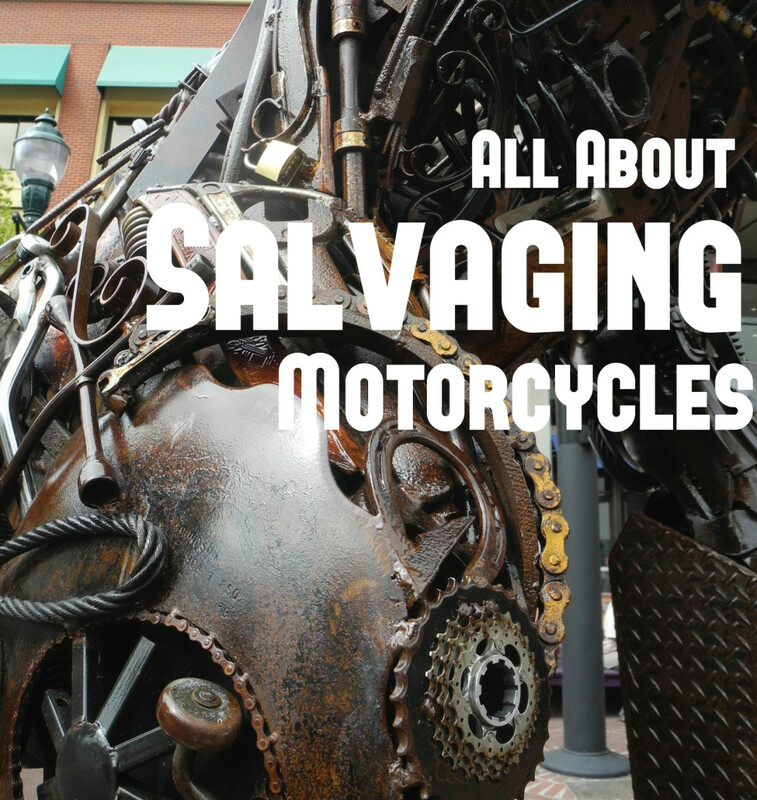 Ring up motorcycle wreckers and see how available second-hand parts are. Now, this is one of my rules that I stick to. I only buy a bike that is still running; the cosmetics are often far easier to deal with than its mechanical issues. If the bike is still running, although it may be worn, it can be rebuilt. If an engine is a non-runner, it could have been sitting outside for years; the entire internal is probably corroded. Considering that Japanese bikes use alloys that turn to white powder and steel that rusts, you may find that most of the engine is of no use. Is the Petrol Tank Leaking? Have a look in the tank for rust and around the bottom of the outside of the tank for little pinholes. Leaking rusty petrol tanks can be a nightmare to fix; in most cases, you can throw them away, unless they are so rare that you are willing to shell out big bucks for an engineer to cut and weld new pieces. Do You Want to Risk an Old Long-Parked Two-Stroke? Also, remember that a four-stroke engine is full of oil and a little more sealed up than a two-stroke engine, which usually only has gearbox oil. So two-strokes often fare poorly when left for a length of time without starting. It's easier to tell the condition of a four-stroke engine, for instance, if it has poor compression (easy to kick over) and it rattles, knocks and blows smoke, then it's probably time for a rebuild... but at least it runs. Two-strokes, on the other hand, especially vintage ones, are rattly, noisy and smokey from new; it's much harder to pick up a serious mechanical problem, like a big end knock or a broken piston. Two-strokes are very simple engines, especially the old ones, but will run amazingly with the most horrible things wrong inside, like a broken piston skirt, broken ring, etc. But they are just waiting for that magic moment to self destruct and throw you over the handlebars. This is where a few intelligent questions arise. 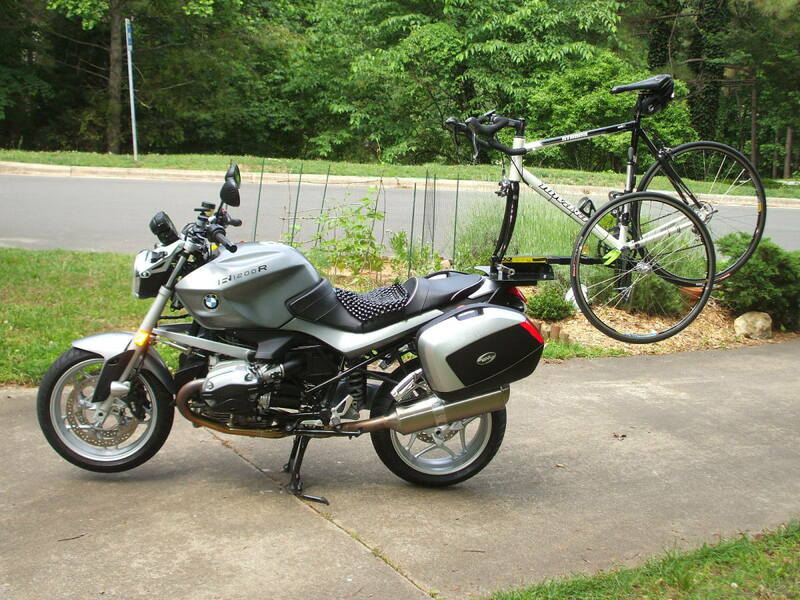 Like: How long have you had the bike? How many miles have you done on it? Have you worked on the bike? Have a look for the tell signs of bodgy mechanics, like silicone gasket goo around engine joins, burred screws, cracked engine cases, wired up bits etc. 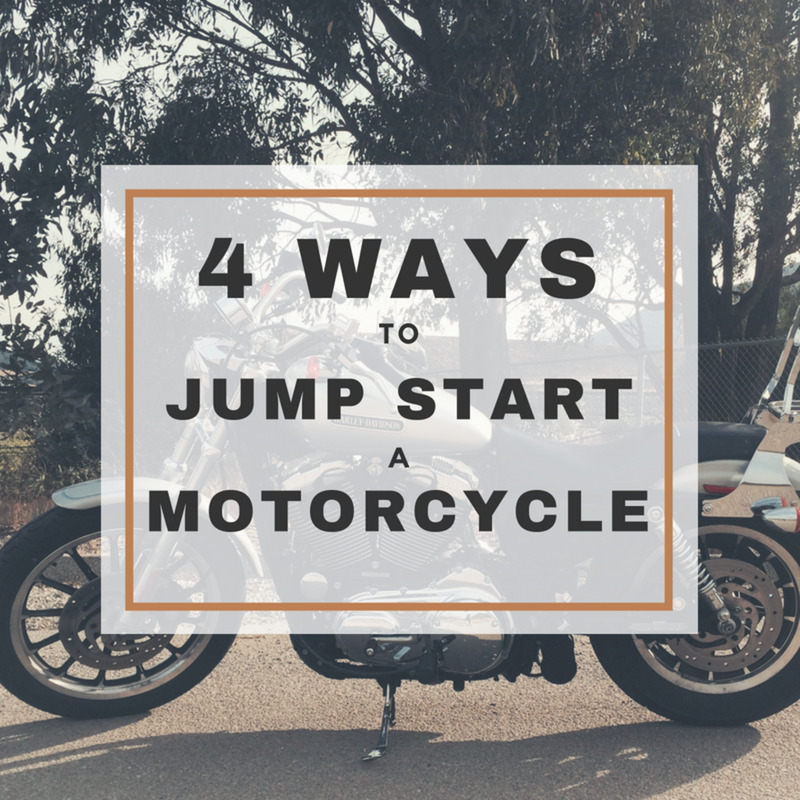 If are lucky enough to get an old bike with a good running engine, but that has not been used much for years, then change the oil and spark plugs and clean out the fuel system and carbies and most important DON'T THRASH IT. An old bike needs to be gradually bedded in again, almost like running in a new bike. Run the bike for short periods and then check everything, gradually increasing the duration of each ride. Remember, everything is old. Bikes pre-late 1970s have points and a relatively simple ignition system. 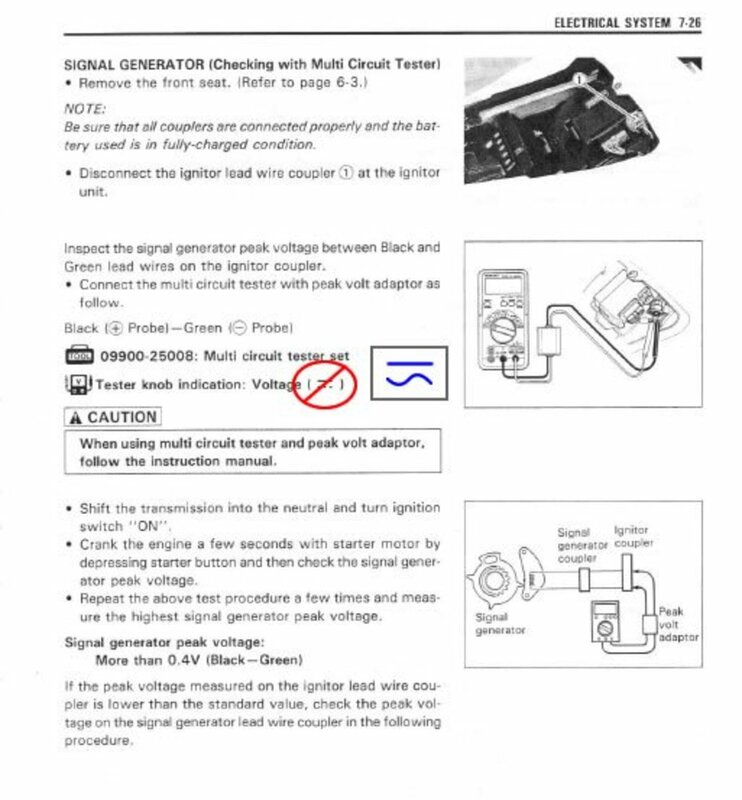 Electronic ignition systems came in primarily in the '80s and can be very hard to source and very expensive. $1000,00 for a new one is not uncommon. Be VERY careful working on the electrics on bikes with electronic ignition systems, even the power from a multi-meter can blow them up. Water cooled two-strokes also came in during the late 70, but mainly 80's. Be wary, the water pumps have seals and bearings, when they wear, they generally leak water into the gearbox. Check the gear box for brown milky oil. Many two-strokes also introduced power valves, for example, Kawasaki KDX. These valves gum up with carbon and used oil, they can seize up and fail, but the bike will still run without them... as long as the disintegrating bits don't fall inside the engine. If the bike is old and has done some miles, count on replacing the power valves and the water pump seals, shaft and bearings... this ain't cheap. 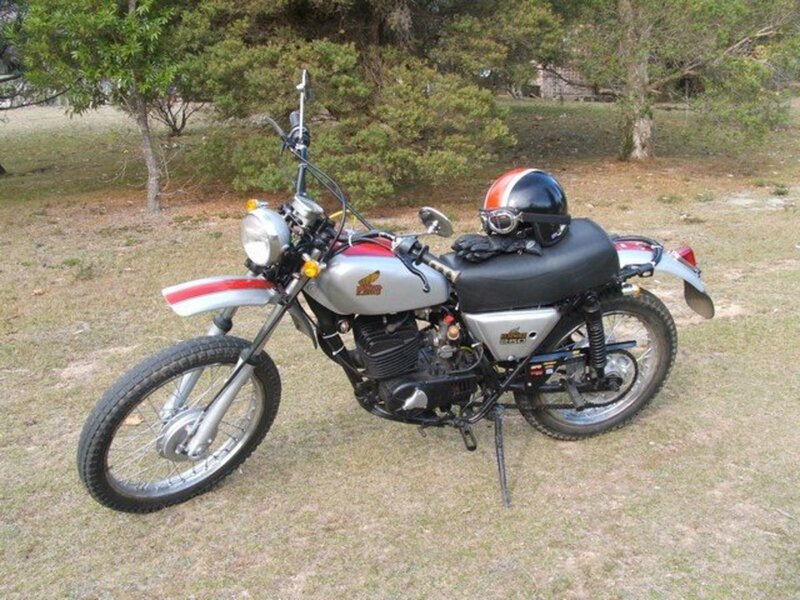 Finally, there are some really good sites on eBay supplying new parts for old Japanese bikes at very reasonable prices. I have had no trouble getting parts for my 1973 Honda MT250 Elsinore (a very nice simple classic bike that was a revolution when released). 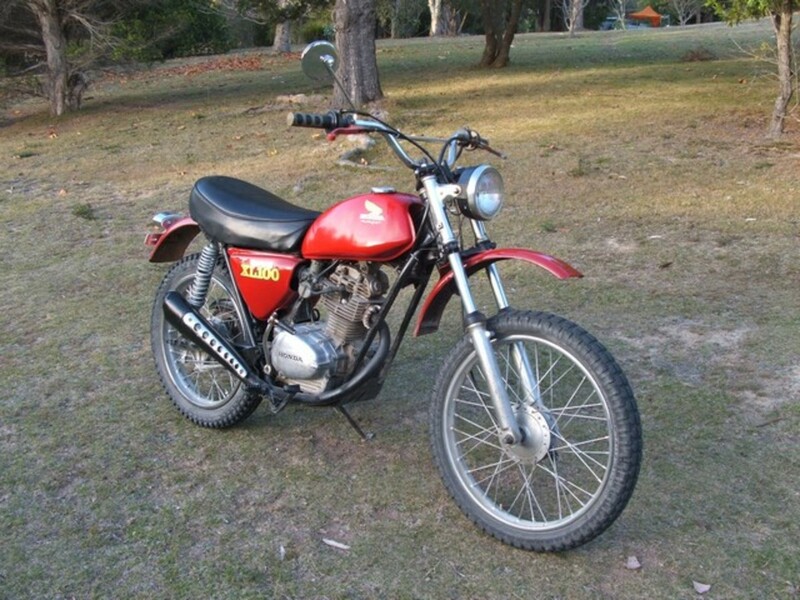 Same for my 1973 Honda XL100, another classic, reliable bike. I have very easily rewired the bikes and found flasher cans, indicators, brake switches, mirrors, side plastics, decals, cables, and speedos all cheaply on eBay from all over the world. I am looking to do something with an 81 Honda CB900 Custom. This the dual range, shaft driven model... what I have in mind is lowering the back end a bit, custom fuel tank and some other peripheral changes that are fairly basic/universal kind of stuff. the big obstacles lie with lowering the rear end I think... Any Ideas? And/ or does anyone know of anyone who makes custom wheels that may make a smaller (like15") rear wheel, perhaps a bit wider & will take a lower profile tire & will still work with the shaft drive?? Any thoughts??? Maybe photos from someone who has done one of these?? The tricycles are: Hyogo HMC V-twin 1500ccm and Daihatsy SB-7 750cс, the third one I will know soon. Hello, I have three Japanese tricycles need the restoration. May be you can recommend who can make it? I am attempting to make a 1976 Honda 250MR street legal. To do so I need an operating brake light. The 250MT is a street legal bike with a brake light switch. I would appreciate is someone could send a pic or describe the location and manner of attachment for the brake light switch on the MT, that I may duplicate on the MR. Thanks. Hi all, I have a 1976 CB100 that i imported from bali last year, can anyone tell me where to get parts and what model would she be. some good advice, great hub. I used to have a Honda KL 100, great bike, reliable and they hold together pretty well. great for wheel stands. and ENJOYING IT, if i could get this 86 kx 500 to fit me than id be happy. Hey this is a very helpful hub. I have been looking for ways how to restore vintage bikes. Thank you for posting! Yep, great fun. See http://motorcyclerestorations.blogspot.com/ for my efforts on a TY175 and an NVT Rambler 125. I'm looking for a pitcock for an 86 Honda 700s Nighthawk as well as the front brake mastercylinder. Can you help me? I've been doing this rebuilding and restoring and boring and buying wrecks only on hon yam kaw and suz for 39 years and still into it wide open, as of today bought a 71 yellow SL 70, and have xl 70s and xl 75 and 80 and ss125 red and the blue one and cd 175 red and blue and a rough barn find cl 125 twin and all the 305s have no money in my pockets yet I got the junk, whoevever dies with the most junk wins right LOL. I'm planning on getting a Kawasaki 750 H-2 Mach IV in working/good condition (ideally a '73) and modifying it into a cafe racer. My question is what is the smallest (preferably a Kawasaki from 1970-75) frame I can bolt the engine onto? I forgot to enter my email in the previous request. 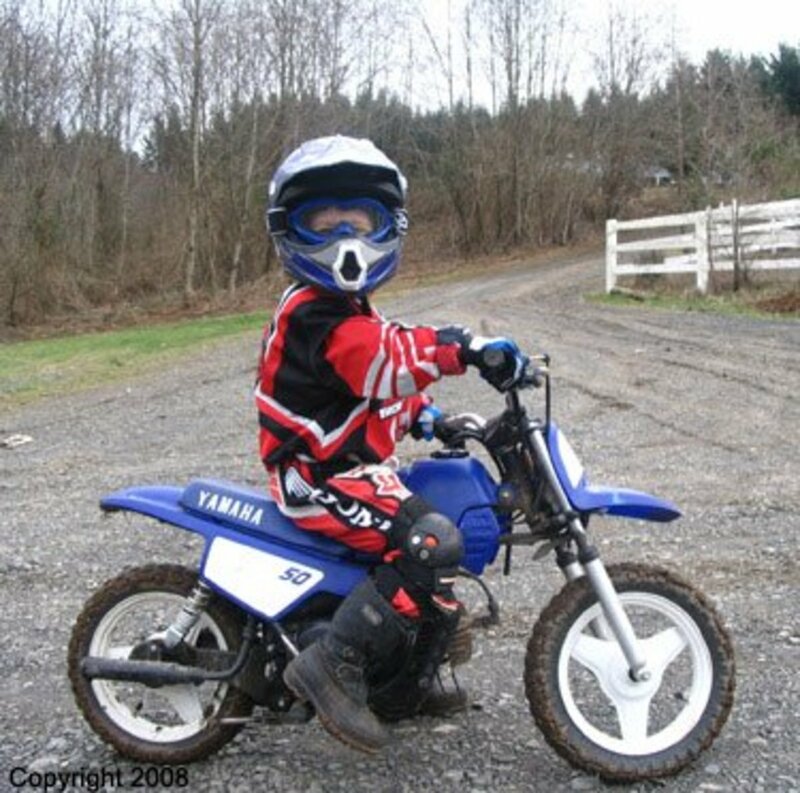 I have a Honda Trail 50 (about a 1970) that I would like to get restored for my grandson, and I am looking for someone to do this in the Steubenville Ohio area. Any suggestions? am doing up a 77 Xl100 Does anyone know of a good condition fuel tank? Great to read. I have a 1976 Elsinore that is is decent shape other than the throttle being stuck. I have no idea what the bike is worth, although I have had a few people ask if I want to sell it, I think because it is in good shape. Any idea? We have several NOS Honda parts for all different models! On our website we have a full inventory list of items we have in stock. Remember these are NEW items in original packaging! Reasonable prices and shipping available! Check out the list, if you need any parts please just email me the part #'s and I will gladly look them up, price them, and email you back!!! All payments are done through our paypal account and customer service is our # 1 priority!!! Thanks! Need the answer to this? 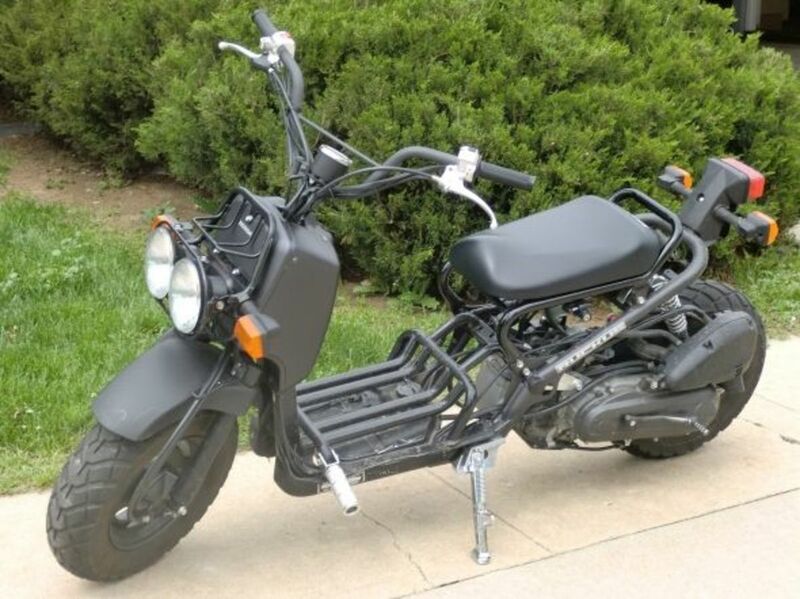 what's a good pipe for this bike? Do Keihin PJ's have Idle circuit's? someone out there help me with handlebar's and throttle for 77 honda cj 360? My husband just wrecked a motorcycle. Luckily he wasn't seriously hurt. I would show him your hub but don't want to encourage him riding anymore. Good hub though. Thanks for the great insight. I'm looking for a Honda CB-360T to restore. Your hub has put me on the right track. Must be some way to lower the 500 Kawasaki So I can enjoy it? If I had my way? Just picked up a '74 MT250. Restoration commenced as soon as I got it home! I also have a '66 Dream, '72 Scrambler, '74 XL125, '06 CB900F and a '78 KZ650. I am currently attempting to restore a 1974 Honda XL100. She is in decent shape but still has loads more that can be done. This is my first restore orproject on a motorcycle. I have mainly done 4x4 trucks/suvs and Mustangs. My biggest challenge is finding resource infromation on parts. Nice Hondas. I usually work on old Toyota MR2's but a bike might be a fun change of pace. Thanks it is fun and when I have finished I start looking for the next project. It's nice to take your time and do a bit at a time. The final result is very satisfying.